It’s estimated that each person in the United States uses 749 pounds (340kg) of paper every year. That’s not limited to just plain computer paper. Think of all the paper, and tree-based products sitting around you right now. There’s probably a lot. Much of the problem lies with how easily we throw things away. More people are recycling more than ever, but it still requires lots of energy to recycle packaging, filler, boxes, and things that we maybe didn’t need printed or made in the first place. Our lokta paper comes from a non-tree source, the lokta bush which grow on the southern slopes of the Nepali Himalayas. The beauty of Nepali lokta paper is that as a bush, when cut for harvesting, the plant grows back to full height in 5 to 7 years. Much faster than most trees. The cutting doesn’t kill the plant. It truly is renewable. But that’s not the major benefit. The strips of the inner bark of the lokta bush are boiled into a mash of fibers, and these fibers are spread by hand across boxed screens and are set to dry in the Himalayan Sun. As the sun dries the paper, the fibers fuse, creating a paper that is made by hand. If you look closely, you can see one side of the paper has the very fine textured imprint of the screen whilst the other side of the paper, the upper side, has a more rustic and naturally textured feel. Perhaps part of the throw-away culture is due to the fact that it’s so easy to mass produce things by machine by the millions. Lokta paper is made by hand, every single sheet. It’s a treasure, and a tradition that spans more than one-thousand years in Nepal. By treasuring that which we have, we are less prone to wasting. We value and take care, and with a journal, we leave a legacy. 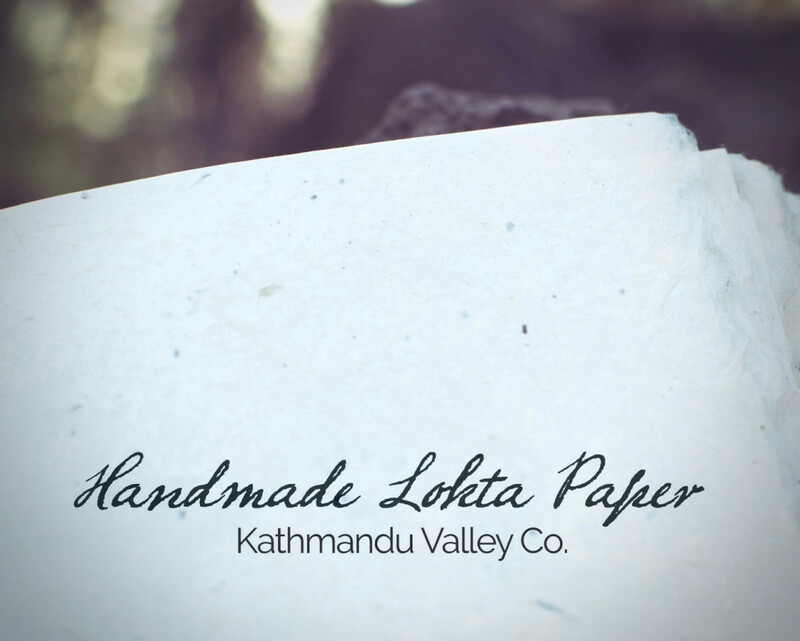 Lokta paper is carried down the narrow mountain passes of the Himalayas by donkey caravan, and then is hand-sewn into journals in Kathmandu, Nepal. Our rustic leather journals use vegetable-dyed water buffalo leather. 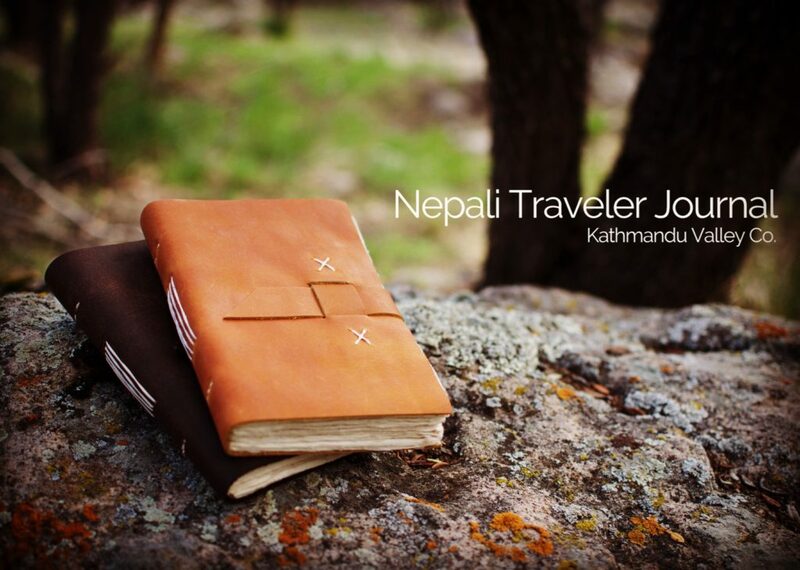 Our Nepali Keeper and Nepali Companion Notebooks are non-leather journals with vegetable-dyed lokta covers.